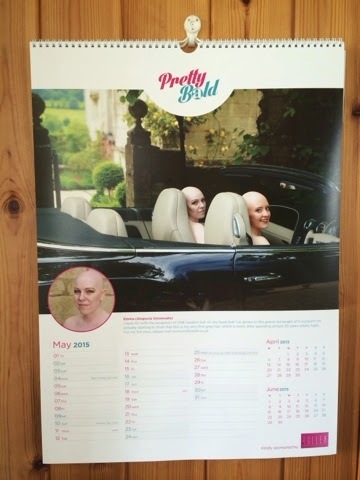 Pretty Bald: Happy May Day! As well as being May Day and a time for dancing around the maypoles (who remembers them) and spring flowers, today also means it's time to flip over your calendar page! This month's it's me and Emma sat in a Bentley and I have to confess it was my first time ever in a Bentley! I have plans to change that in the future (maybe), but for now, it was a lovely hour spent in a shiny classic English car!